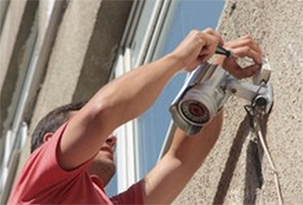 Every homeowner and business owner needs a reliable video camera surveillance sytems. Make an appointment with Williamsburg Locksmith that is an expert with CCTV’s. We can visit your property and discuss a plan for your property. Video Surveillance Brooklyn install, repair and suplly video surveillance cameras, hidden video surveillance, home video surveillance, wireless video surveillance, video surveillance system, outdoor video surveillance, video surveillance software. HD Security Cameras – These days, video security cameras can record at high definition resolution. This is an important quality that everyone needs on a video camera and that you can get from Williamsburg Locksmith. Whether you are looking to upgrade an existing system or add a new surveillance system, Williamsburg Locksmith can help. We can help strategically place cameras around your property to cover all blind spots on your property. Surveillance Software – Monitor unlimited number of cameras from anywhere in the world from any internet device. With surveillance software from Williamsburg Locksmith, you can receive alerts, e-mails, or captured images. Get the power to check up on any area of your property while you’re away or check your property for safety before you enter. Surveillance software is extremely hi-tech yet easy to learn and use for everyone. Video System Installation – Once a plan has been designed and approved by you and the video products have been chosen, Williamsburg Locksmith will work on installing, connecting and testing your new high definition video security system. Williamsburg Locksmith technicians are tops in their field. They work fast and clean on both wired and wireless installations. After all hardware components have been installed and tested, they will walk you through operating the entire system. With a surveillance system purchased through Williamsburg Locksmith, you can hook a multi-channel feed through the internet to keep a watchful eye on your valuables from anywhere. You can even receive emails with details and images when security events happen.